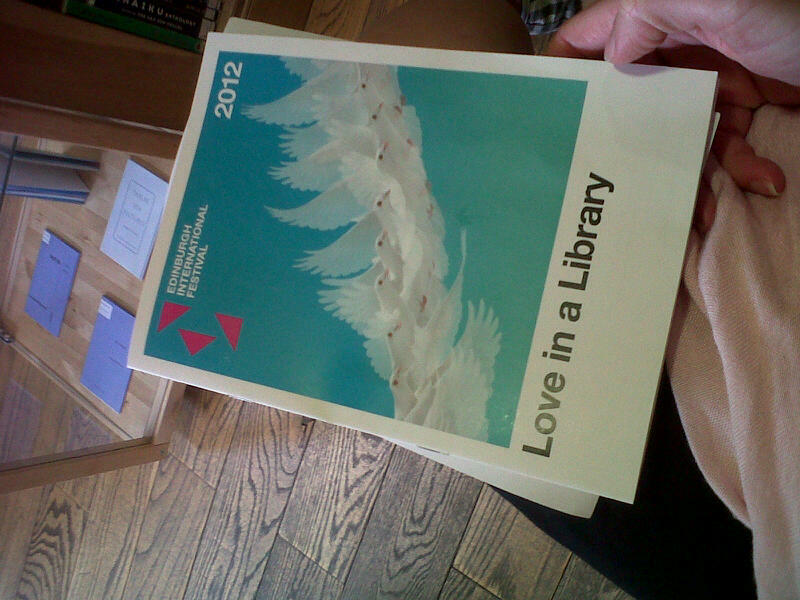 Love in a Library | Que Sera Sara? Lots of people aren’t into Opera. The endlessly long running times. The ridiculous daytime-tv-worthy plots. The repetitive subtitles. There is a lot to put a gal off. Imagine you are sitting in a sunny library. A quiet space full of potential. … until a young man literally bursts into song,unable to contain his passion-from-afar any longer. A sweet half hour commences where the two chase each other around your local library, conversing through alternating songs – declaring, questioning, and affirming their tentative love. 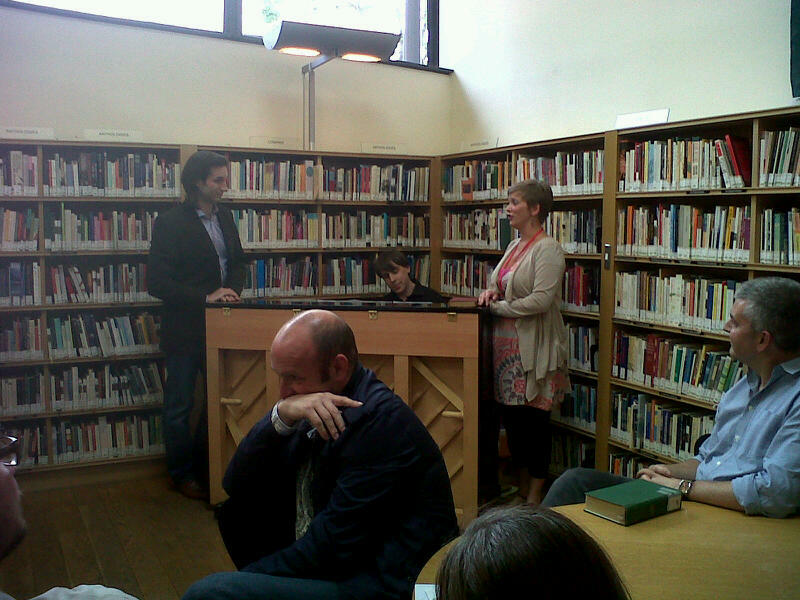 With Love in a Library, it’s opera-lite. Short and sweet; simple and (partially) in English, with lyrics and translations for each song in your lap for easy browsing. The song selection with which they build this romantic narrative ranges from Wagner to Gershwin (by way of Byron and Burns) in a guerilla endeavour to bring arts into the community. It’s bite-size melodrama at its very best. The brainchild of the Edinburgh International Festival, the small show trekked around libraries across Edinburgh in early June. Some folk came out especially to see the unique performance, other traditional library goers were understandably (and pleasantly) surprised at the outburst.It’s not an exaggeration to say entire buildings were lit up from within. It’s certainly put a smile on my face all week. The run was limited, but I hope they revive it. Or better yet, I hope that other cities, schools, guilds and companies seize the opportunity to curate their own pop-up music events. After all, this was a mash-up of existing tunes with a thin veneer of plot (like many of the Gershwins’ own shows). It’s a format begging to be replicated. And trust me, opera-skeptic or no, you’d love it.